How does a V8 engine, an automatic or “6spd” gearbox, and VIN 1G1Ybf30005010003 sound? If you are stricken by misbelief, a slight amount of hesitation, or just asked WTF after reading the above, then you’re right on all accounts. Ironically, there are those who seem to be ready to give their money to anyone (literally), as the auction has 18 bids and currently stands at $5,200. And to top it all off, these wonderful photos (gasp!) 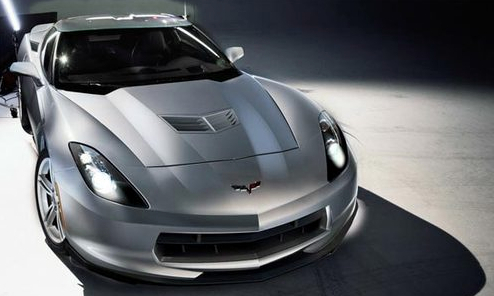 of the highly-anticipated 2014 Vette to go along with the listing. Want this bad boy the ability to pre-order this bad boy for yourself? If so, walk run the nearest location where you can place an eBay bid… Because you know this one won’t last. Missing Already! EBay removed it, as it seems. I really wanted a chuckle this morning. Very nice picture though! The link above still works fine. That’s because it’s a scam I tried to bid $1 trillion but it won’t accept it. Listing has been removed, but the pictures look pretty realistic. Wow. Where did the photos come from? Love them! Interesting that the seller has a 100% positive rating but most of the sales appear to be clothing. Maybe he is branching out.